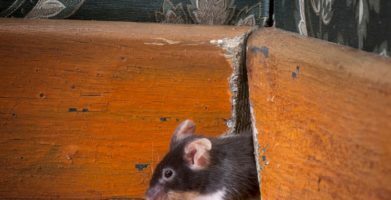 Mice are able to fit through openings that are only a 1/4″ wide. They can easily enter practically any building, vehicle, or farm equipment. Mouse traps are commonly used to rid an area of mice, but this isn’t the best choice. 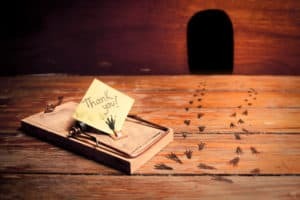 No matter how careful you are with mouse traps, there is always the possibility that a small child or household pet will pick it up or play with it. This will cause the spring to snap, causing injury to the child or pet. If a mouse is caught in a trap, the child or pet may be curious enough to handle the mouse. 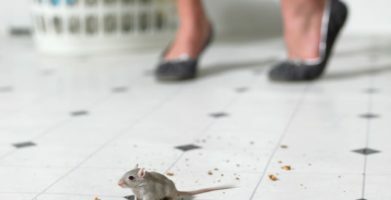 Mice carry various diseases and parasites that can be transmitted easily to people and animals, and your child or pet can be exposed to these. 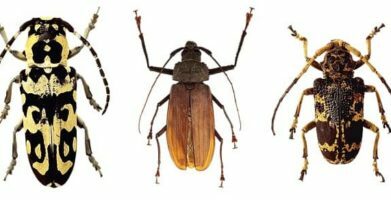 Glue traps present the same problem. If you have a mice infestation, there will be mouse droppings in the areas they are occupying. 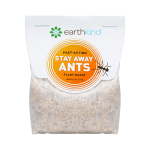 Children and pets are likely to come in contact with these droppings, which can carry dangerous diseases. If you are lucky enough to catch mice in a spring or glue trap, you will also be unlucky enough to have to dispose of the mice. You need to take extra caution when handling a dead mouse caught in a spring trap. Mice carry all sorts of diseases and parasites, and these can be transferred to you. Mice caught in glue traps cause another problem: getting rid of the mice. You will need to either kill the mice or take them somewhere far away from your home, business or farm so that they don’t immediately return. Fresh Cab® is a more logical choice for your mice problems. 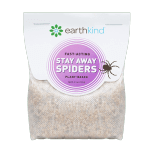 It is safe to use around children and pets, is not messy or difficult to use, and is registered with the Federal Environmental Protection Agency (EPA). Using rigorous testing, the EPA evaluated Fresh Cab and, in April 2007, the EPA registered Fresh Cab as an effective and safe plant-based rodent repellent. It remains the only one with this distinction on the market today. The active ingredient in Fresh Cab is balsam fir needle essential oil. Additional essential oils, including lemon, eucalyptus, and cedar wood, are added for a mixture that is pleasing to humans. This particular smell activates avoidance behavior in mice, causing them to leave the premises. Mice already living in the area will leave, too. 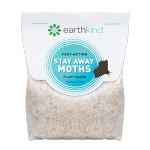 You can add more pouches to any space without worrying about harmful effects. When a Fresh Cab pouch loses its fragrant aroma, you simply replace it with a new pouch. There is no messy clean up. You can use Fresh Cab anywhere. Place the pouches on a surface or hang them in the area. You won’t find an easier alternative to mice traps. Mice are able to fit through openings that are only a 1/4" wide. They can easily enter practically any building, vehicle, or farm equipment. Mouse traps are commonly used to rid an area of mice, but this isn’t the best choice. Mice caught in glue traps cause another problem:  getting rid of the mice. You will need to either kill the mice or take them somewhere far away from your home, business or farm so that they don’t immediately return. string(63) "Problems with Using Mouse Traps in Your Home, Farm, or Business"